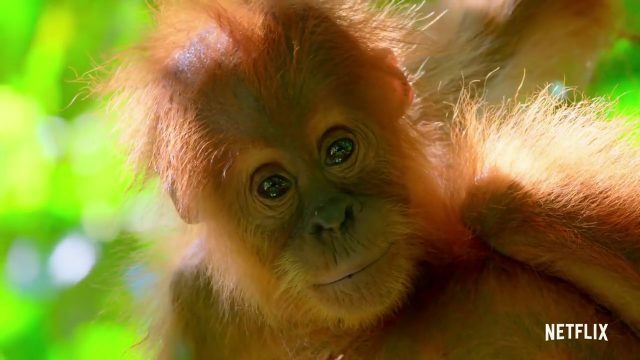 Netflix has released the official trailer for their upcoming original documentary series Our Planet, featuring stunning shots of never-before-seen habitats that will remind us that we’re all on one team. Narrated by World-renowned naturalist Sir David Attenborough, the new series will be launching globally on Netflix on April 5. Check out the video below! The ambitious series was created in collaboration with Silverback Films, whose director Alastair Fothergill was the creator of the critically acclaimed original Planet Earth and Blue Planet series, and WWF, the world’s leading conservation organization. The groundbreaking, eight-part series will showcase the planet’s most precious species and fragile habitats, revealing amazing sights on Earth in ways they’ve never been seen using the latest in 4k camera technology. The ambitious four-year project has been filmed in 50 countries across all the continents of the world, with crew capturing more than three and a half thousand filming days, and will focus on the breadth of the diversity of habitats around the world, from the remote Arctic wilderness and mysterious deep oceans to the vast landscapes of Africa and diverse jungles of South America.